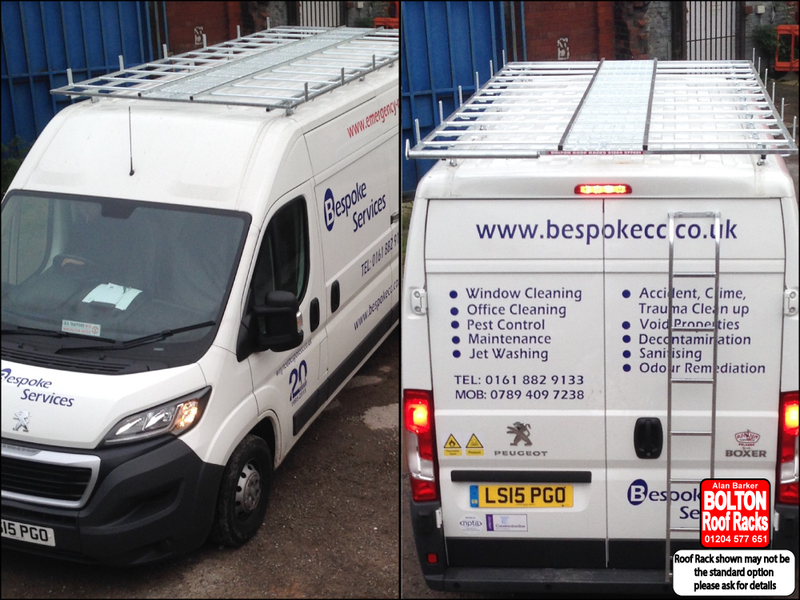 Peugeot Boxer L4H2 Roof Racks from Bolton Roof Racks Ltd. Roof Racks for Peugeot Boxer Models we hold in Stock. The Peugeot Boxer is a very popular vehicle. Robust and practical, with a higher specification than ever before, the Peugeot Boxer comes in a multitude of versions to suit your business. Choose from four vehicle lengths and three heights, giving a choice of six different body types. The Boxer is capable of carrying a payload of up to 1900kg and up to 15m³ and is also amongst the lowest vans in the market for maintenance costs, with increased service intervals of every 30,000 miles or every 2 years. Now with a standard bulkhead to keep noise down, DAB radio and Bluetooth, and with touchscreen with integrated Sat Nav on the Professional version you’ll wonder how you ever did without one. Get the best out of your Peugeot Boxer by adding a Roof Rack.